Yesterday, a pretty serious security vulnerability was revealed which affects all versions of git. You should upgrade to one of the maintenance releases described in the link above, but that’s assuming you can. A lot of people don’t know how to do that. A lot of people are using the git version that ships with Apple’s OS X or their operating system of choice. I can’t help you if you use Windows or Linux but head over to the Downloads section of the official git website for help. The versions are often very old. It’s either hard or impossible to upgrade them without the operating system vendor. Operating sytem security updates don’t always update these packages, or at least not promptly. First step to controlling your development software, install Homebrew. It’s a package manager. It works similarly to the App Store — but on the command line. If you don’t see /usr/local/bin/brew displayed when you press Enter after entering the command, you don’t have Homebrew installed. So let’s do that. WARNING: I’m about to tell you to do something dangerous. Downloading and executing an unknown and potentially nefarious script whose source code you’ve never read. You should not do this willy nilly. The only reason I ask you to trust me is that I trust this specific script. It’s written in Ruby. I’ve read it. And I’m mildly confident no one has hacked my blog to replace the link with a nefarious one. Homebrew can’t heal itself but it can diagnose anything on your system that may hinder its functioning. Usually that will involve installing a version of Xcode which you can now simply find on the App Store. This command looks for all available binaries matching the name git anywhere on your load path ($PATH). Whereas which git will only tell you the one which will be used to answer calls to git. The first directory path in the list will be the one used. If you see /usr/local/bin/git at the top, congratulations, you’ve installed your own git. You can check the version of the git you installed with git --version. It should be higher than 2.2.1. If which git yields /usr/bin/git then the Apple-installed git is still taking precedence over the one we just installed with Homebrew. That’s completely normal and okay. It just means we have a wee bit of work left to do. echo $PATH | tr ":" "\n"
This should list all the paths in your load path in order of precedence. 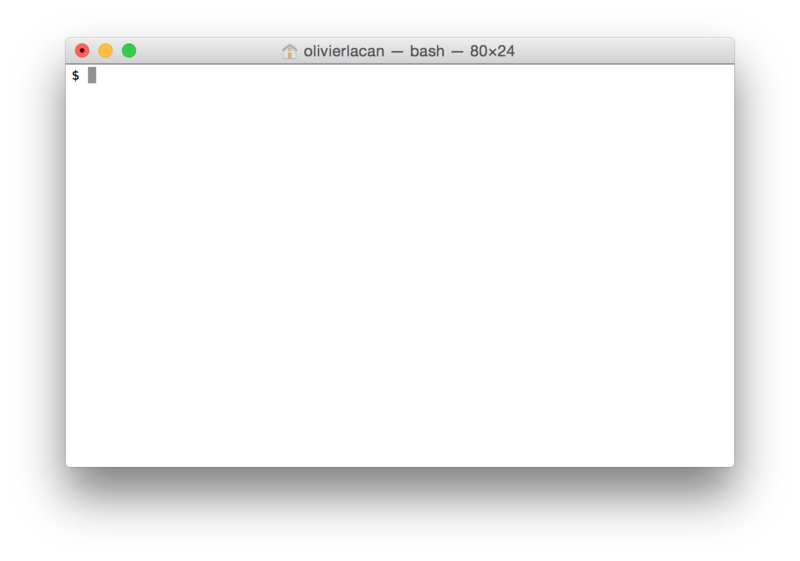 For you, I can bet that /usr/local/bin is showing up below /usr/bin. All we need to do is prepend the /usr/local/bin path in the load order. The first command takes you to your home directory wherever you are. It’s a neat trick to quickly go home without having to type anything else. The second command lists all directory contents including dotfiles (-a) and then filters the list of returned files and directories to only show the ones which have the word bash inside them. If you don’t see anything that ressembles PATH= then you’re fine, otherwise I recommend you put all your path modifications in the same place. I put mine in .bash_profile. If you want to read more about configuration files, I recommend this and that StackOverflow discussions. Make sure to put that near the top of your .bash_profile and annotate it with a note about its purpose so you can understand it when you find it later. I often leave links to the resources I’ve used, like this blog post, so I can understand why I modified my configuration later.